Migration to the UK from the Caribbean boosted the cricketing fraternity in the city in the 1950s. The Liga Cup, a 2-week competition played out on Victoria Park was fiercely competed for by Caribbean teams from Barbados, Antigua, St. Kitts and Nevis, Jamaica, plus teams from India and England. 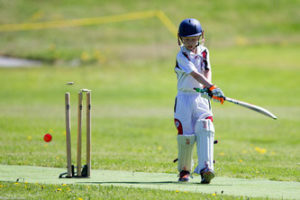 Cricket tours to Wales, Holland, and weekend family excursion games outside Leicester to Skegness, Boston, St. Albans, and Southend became regular features of the summer. 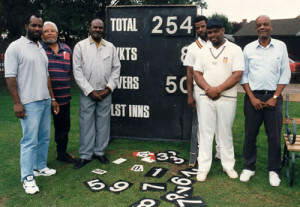 The Leicester Caribbean Cricket Club was formed in 1957 and played on Victoria Park for the first 24 years. Assistance from the Leicestershire County Council and later the Leicester City Council, allowed the club to move “off the parks” to our Ethel Road home in 1981. Former West Indian cricket captain Clive Lloyd officially opened the building. The eminent and universally acclaimed Caribbean philosopher and historian Cyril Lionel Robert James (1901-1989), of Trinidad and Tobago, contends that the true story of team sport, in this context cricket, is the individual striving to do better for the good of all. That is the team, the region, and the diaspora. 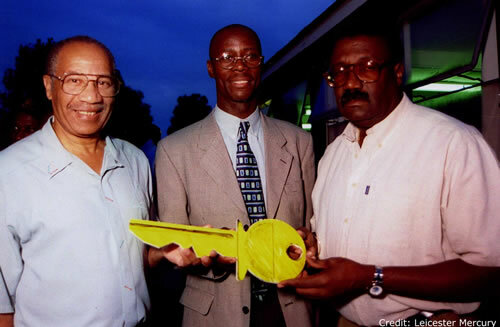 The Leicester Caribbean Cricket Club seeks to emulate the noble tradition and in so doing make a significant contribution towards the creation of a more cohesive community, thus building on Leicester’s international reputation as a city where race, culture, and faith fuse seamlessly together in a shared aspiration for the common good and mutual well-being. 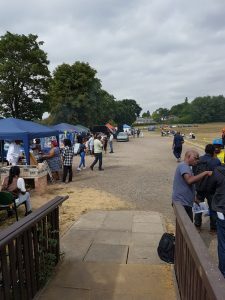 The Leicester Caribbean Cricket Club believes that the ‘Game’ in all its various manifestations unites the communities by crossing social, cultural, and religious barriers. It is therefore, resolved to ensure that in all its endeavours this becomes the ultimate objective. The Leicester Caribbean Cricket Club is unequivocally biased towards the young not least because we believe that active engagement in sports builds character and is an effective way to use youthful energy and enthusiasm creatively and thereby has the capacity to transform aspiration to reality. The Leicester Caribbean Cricket Club believes that cricket influences behaviour in that the values and ethics that are important in social interaction are cultivated and practiced, particuarly on the field of play and on its premises at all times. To promote community cohesion through the advancement of amateur cricket in the Spinney Hills and other wards in Leicester by providing opportunities for creative engagement among the diverse ethnic, cultural, and religious groups in the city and county. To provide and maintain a clubhouse for the community where social interaction can be advanced through the central focus of the teaching and playing of cricket for all ages. Through the spirit of cricket our purpose is to promote active involvement in physical exercise and multicultural social activities. We believe that cricket provides a model of the individual striving to do better for the good of all. To develop cricket at grassroots and community level. To provide cricket expertise and facilities. To increase participation at all levels, including creation of a female youth team. To develop and maintain youth coaching programmes. To develop a strong youth team and create pathways for juniors to progress into senior teams. To continue to flourish in the competitive Leicestershire and Rutland Cricket League. Play cricket representing LCCC in Leicestershire and Rutland League. Enhance your cricket SKILLS – training, coaching, practice. CRICKET facilities – outdoor nets, changing rooms, wicket. SOCIAL facilities – clubhouse, bar, venue hire, indoor games. GAMING facilities – dominoes, pool, cards, table-tennis, darts. 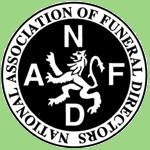 Attendance and voting rights at AGM and Member’s Meetings. Discounted rate for venue hire. Discounted rates on excursions organised by the Club.